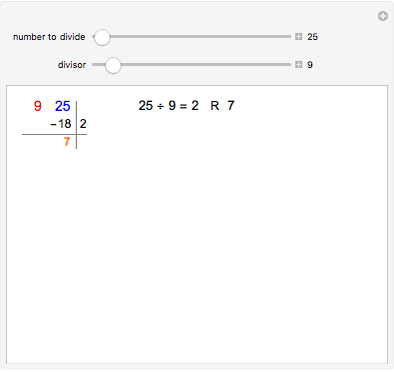 When learning how to divide numbers, students are often asked to find a quotient and a remainder using long division. 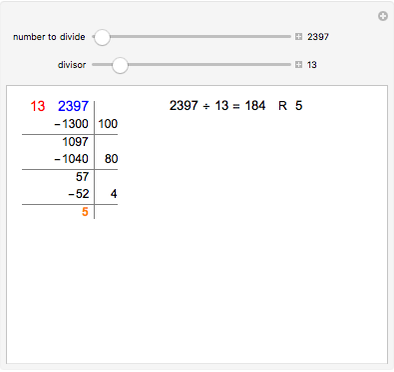 The quotient is the integer result of the division and the remainder R (orange) is what is left if the two numbers (red and blue) do not divide evenly. 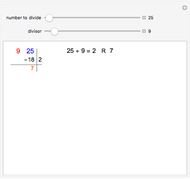 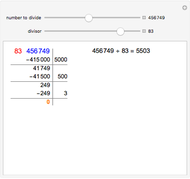 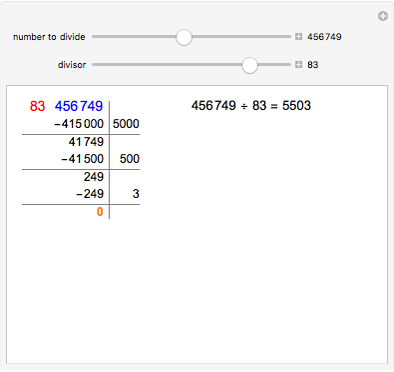 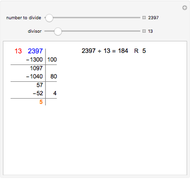 Use the sliders to change the divisor and the number that is to be divided.